Hi Krysten! 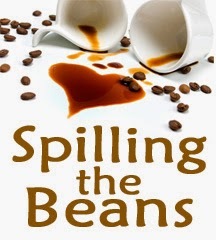 So glad to have you at Spilling the Beans, where we can learn a little bit about you, and your book. Grab a cappuccino and let’s chat. Unless you have another favorite drink (alcoholic or otherwise)? How about a glass of chocolate almond milk? I love this stuff—it’s like drinking pudding. Mm, that does sound delicious. I’ll join you. So, more about you. Fur or feathers, pet-wise? Fur. I never had a pet growing up…wait, would you count a little sister? No? I wanted a dog like the one Cathy had in the comic strip. Aw, so sad! Every girl should have a dog for a sidekick. Any pet peeves? One thing that really burns your biscuits? I really hate rude people. Especially condescending people. I have a scene in Best Friends…Forever? with a rude cosmetics counter salesperson who makes Landry feel insecure about her looks. We always think it’s us when they act that way and don’t take into account that some people do that just to push the products, so I have Landry’s mother talk to her about that. Love it. Tell us something about yourself that’s not in your bio. I lived on a Portuguese island for three years. I came back to the United States and everyone was talking about reality show “stars” I had never heard of and it was surreal to see the covers of magazines at supermarkets and not recognize the faces on them. I live here, and I don’t recognize them! What do you like to do when you’re not writing? I love to read, watch TV (American Dad is my favorite show), and I have a weird laundry obsession. I get antsy if the dirty clothes pile gets to full. There’s something relaxing about doing laundry. You can come relax at my house anytime, lol. If you had to choose another profession besides writer, what would it be and why? I worked as a journalist for years and I’m really curious (okay, fine, I’m snoopy) by nature, so that was a great job for me. Are you a night owl or early bird? Night owl. Unless you’re referring to 4 am. I’d like to be able to teleport places. Think of all the time that I’d save on packing, having to deal with airport security, jet lag, ticket prices. Forget the space program, let’s get going on this! That, or get the Skycar out to car sales lots. How would your muse describe you? Oh, I’m sure they’d say pain in tush, hard to get moving. If you could live out any fantasy, what would you do? Mine would involve traveling back in time and spending the day hanging out with F. Scott Fitzgerald. That movie Midnight in Paris is the ultimate fantasy of mine. Can you imagine having literary greats critique your work and getting to hang out with your heroes?? Oh, exciting and scary at the same time, lol. If you could have dinner with anyone, past or present, fictional or real, who would it be and why? I would love to have dinner with the author, Lois Lowry to talk about writing and her inspirations. She’s written such a wide range of books from those great Anastasia books to The Giver, Number the Stars, and one of my favorites, Autumn Street. I think she’d just be fascinating to talk to and to learn more about her. And if there’s room for someone else at the table then maybe soccer star Cristiano Ronaldo could come, too…. There’s always room for one more. What is the craziest thing you’ve ever done? It’s moments like these I regret not being a bigger risk taker so I’d have something interesting to put down. I entered a talent show with a friend and danced to Paula Abdul’s “Straight Up” when I was in the sixth grade. The reason I would consider that crazy is because it was in front of a group of middle schoolers and I was wearing jean shorts. I’ll bet they were all envious! Beethoven, Beatles, Foo Fighters or Keith Urban (what type(s) of music makes you rock out)? I love Pixie Lott, Christina Aguilera, Johnny Gill, Jon Connor, Shakira, Whitney Houston, Eminem, The Bangles, and my favorite since I was a kid, George Michael. Does music influence your writing? Do you have a music playlist for your book? Very cool. While creating your books, what was one of the most surprising things you learned? One thing that surprised me was the response I got from a few dads who were beta readers for me. One said that it made him realize why his daughters acted the way they did at their age. He said he often blew off their behavior as, “teenage hormones,” but he said reading what teen girls go through with friend drama and insecurities really opened his eyes. A few other dads made similar comments about not realizing the extent that those sorts of insecurities really impacted and shaped girls. An odd thing that surprised me was how much life imitated art. I would write things and then they would happen to me. One odd thing was me giving Ashanti mono in the first book and then I got it. I should have had her parents win the lottery. Also, I had someone point out that I also mentioned ebola in the first book and at that time no one was even talking about ebola, so that was a little strange. Please tell us a bit about your latest book. Best Friends…Forever? is about Landry Albright, an over thinker who hopes the new year will start off in an amazing way—instead she has to deal with more frenemy issues, boy drama, and having most of her best friends make the cheerleading squad without her. Suddenly, it seems like all anyone can talk about is starting high school next year—something she finds terrifying. Landry gets her first boyfriend, but then gets dumped just as things come to a head with her friends. She feels lost and left out, but finds good advice about dealing with frenemies from what she considers an unlikely source. Landry learns to speak up for what’s right, tell the truth (even when it hurts), and how to get past the fear of failure as she gets another shot at competing in the American Ingénue modeling competition. The book is a sequel to the first book in the Landry’s True Colors series, but can be read as a stand alone book. I wanted to write the book I wanted to read when I was in school. I always felt like everyone else had it all together and had these picture perfect lives and I was just trying to find my place. What I didn’t realize is that everyone feels that way and I think that’s only increased with people posting pics of their “amazing” lives on Instagram and Facebook. If you compare your everyday life to someone’s highlight reel then you’re always going to feel you’re coming up short. So I created a character in Landry who is an “over thinker” who shows her internal feelings and her anxious side in a funny way. Thanks for spilling the beans today, Kristen! Thanks for having me on and making me reminisce about my whole Paula Abdul performance in jean shorts…what was I thinking??? Thank you so much for having me on today! I enjoyed it very much. So glad to have you, Krysten! Best of luck with your release. So fun to heat from Krysten. I loved hearing about the music that she loves and the inspiration behind some of her characters. I had to laugh when she said she was surprised that when she wrote about something- it happened. She definitely should have had the parents win the lottery! Sounds like an exciting series. Thanks for sharing and wishing Krysten the best of luck. Coming out of hibernation to party!